This card is for the Freshly Made Sketch#217 here. 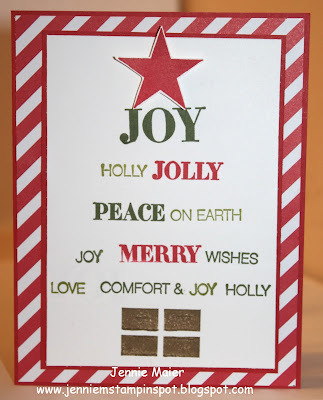 Holly Jolly Greetings is the stamp set with the coordinating Christmas Greetings Thinlits dies. And some Merry Moments DSP. 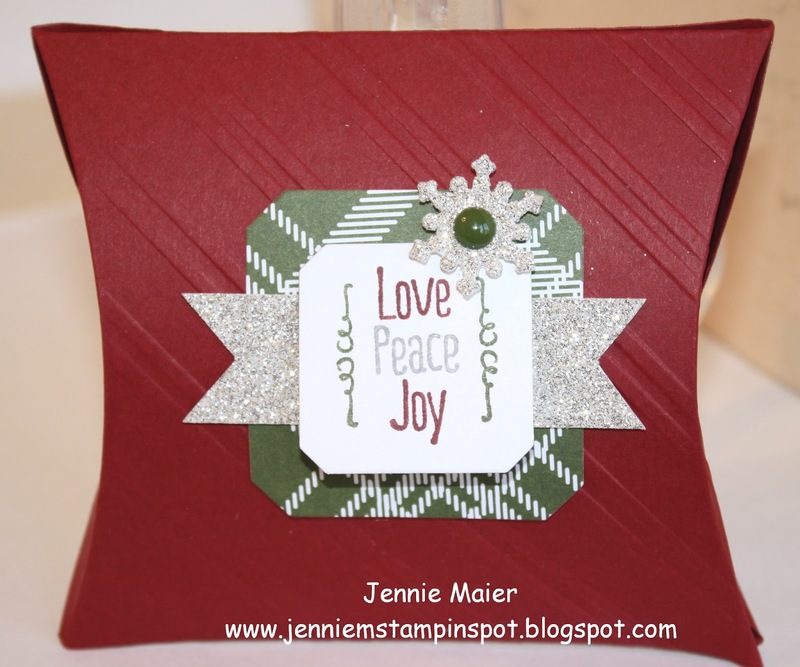 I needed some gift packaging for the niece and nephew's gift cards so I made these two gift card holders using the Mini Treat Bag Thinlit Dies. These would definitely qualify for the SUO Challenge#137, Cards and Gifts for Children, here. 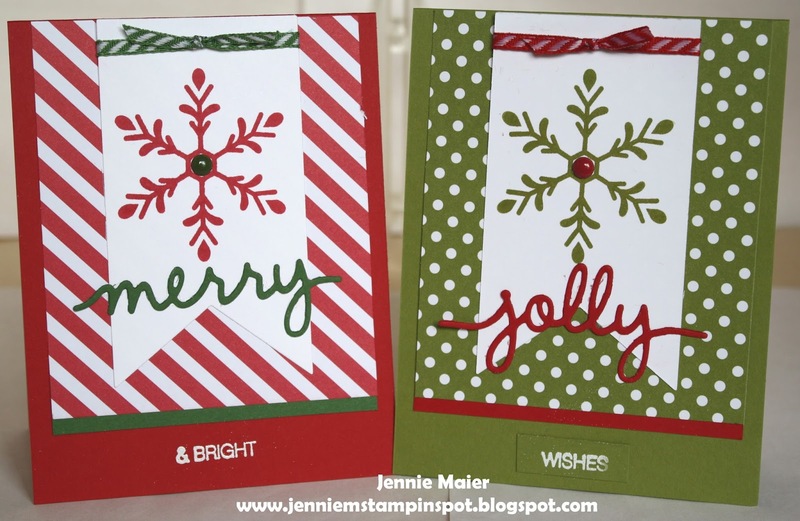 The first bag uses the Holly Jolly Greetings stamp set and the second bag uses the Lots of Joy stamp set. Both bags use some Merry Moments DSP. The challenge this week is a color challenge at Can You Case It#99 here. 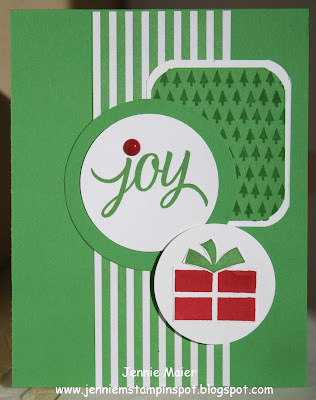 It's all about holiday colors and I immediately think of red and green! 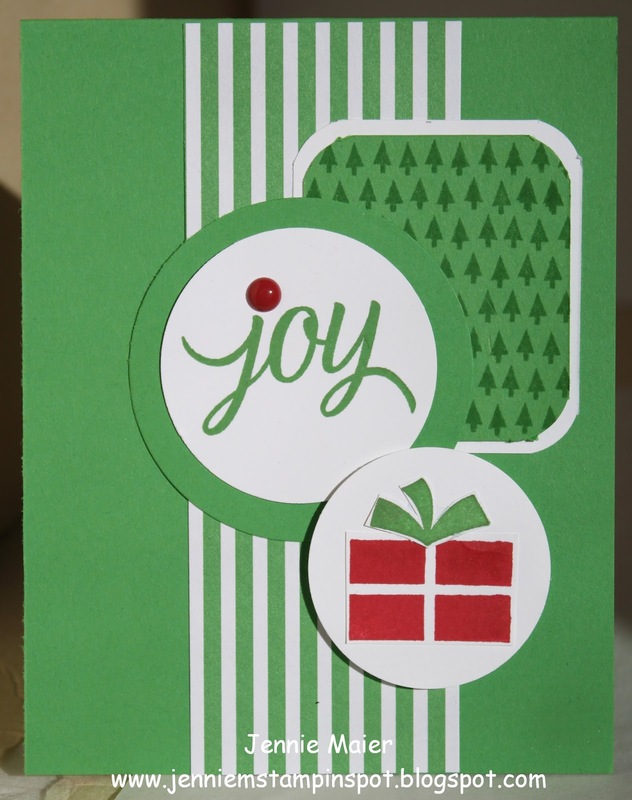 This card uses the Lots of Joy stamp set with some Season of Cheer Designer Washi tape. 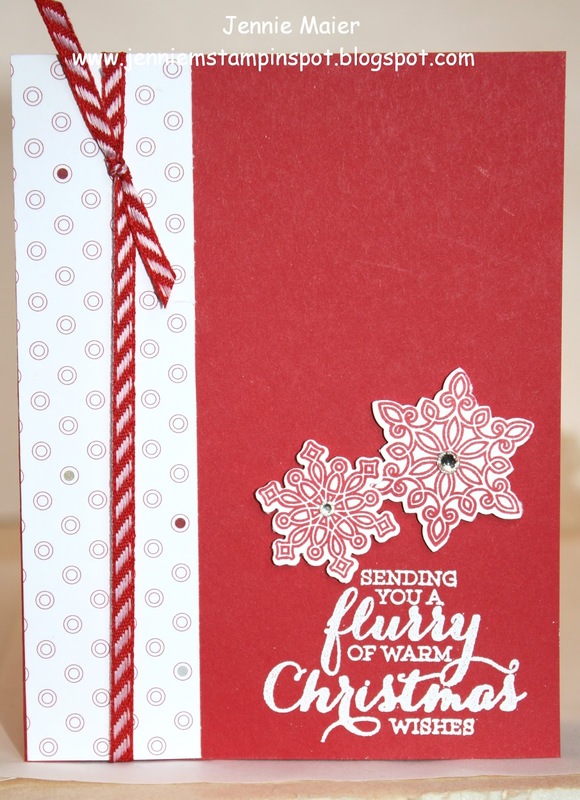 I also used the Softly Falling embossing folder. 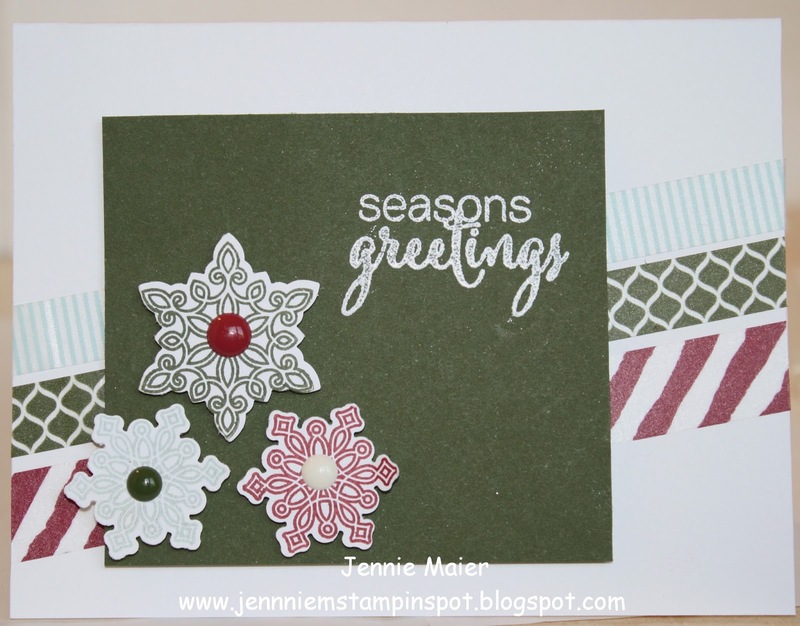 A break from Christmas to play with some Occasions Catalog goodies! I used the Sweet Sunday Sketch Challenge#299 here. 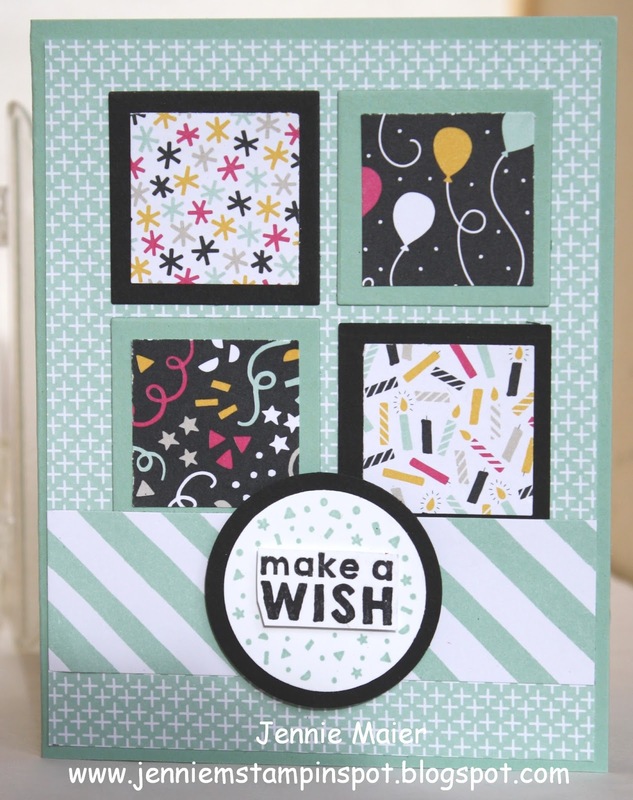 Party Wishes is the stamp set with different patterns from the It's My Party DSP Stack. 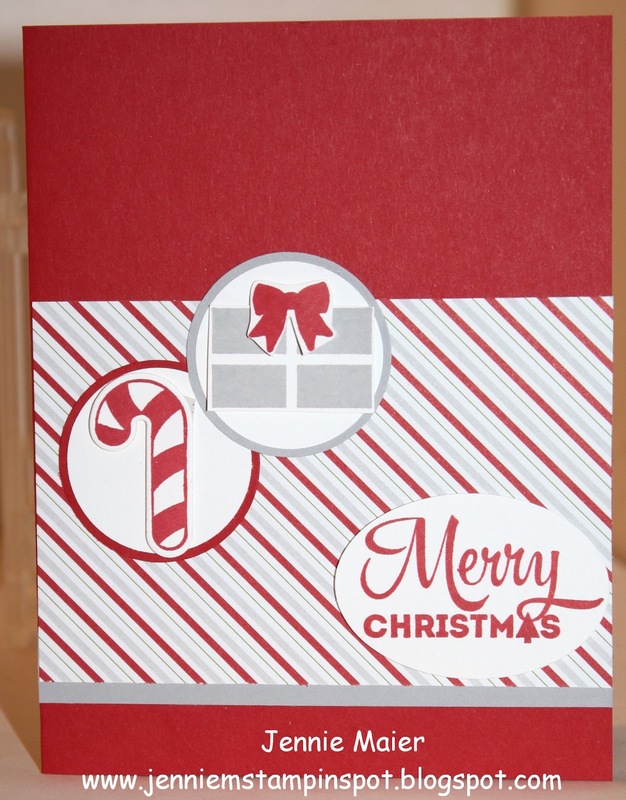 Almost done making all my Christmas cards for this year! 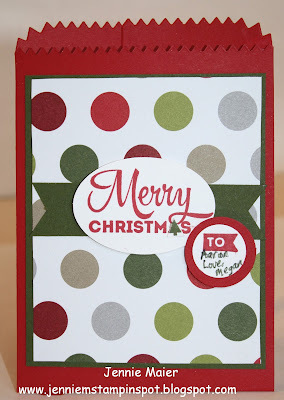 This one uses the MojoMonday Sketch#428 here. 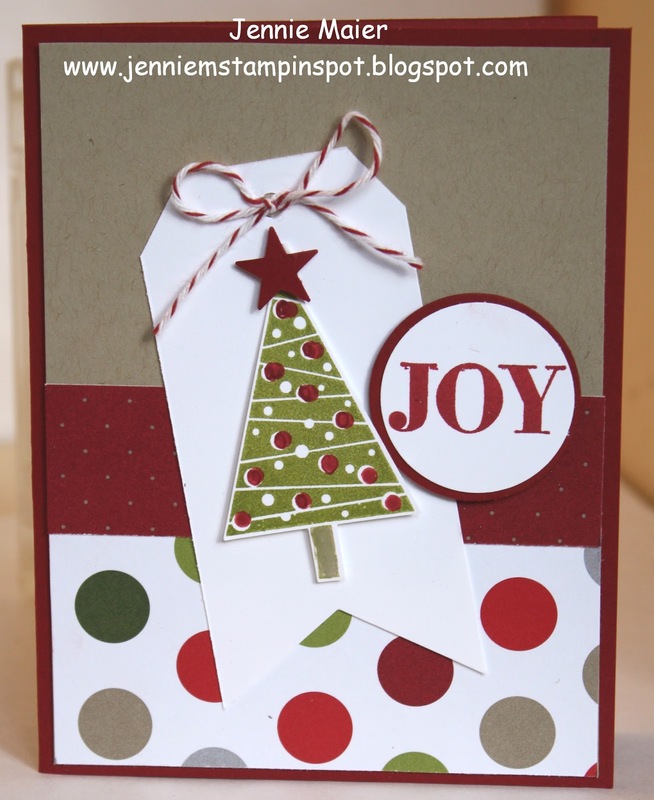 Festival of Trees and Holly Jolly Greetings are the stamp sets with some Merry Moments DSP. 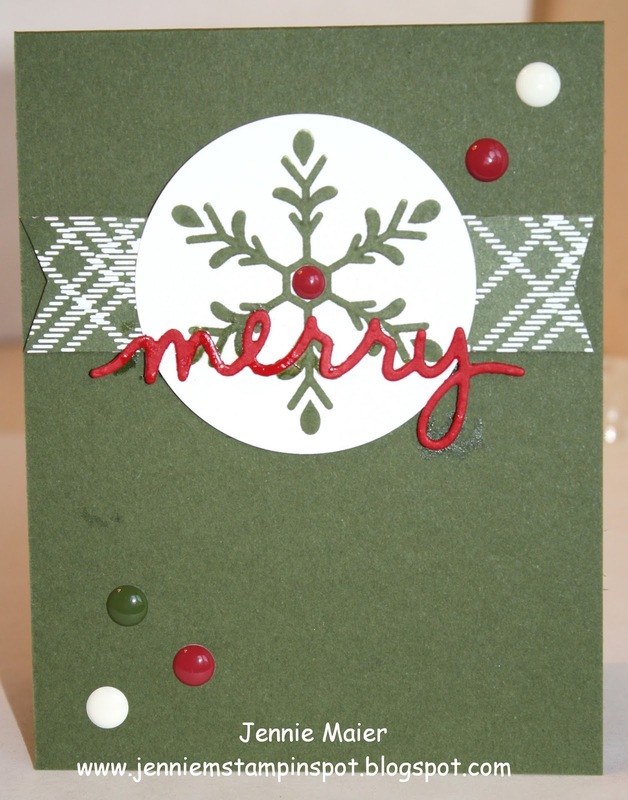 This card is for the Create with Connie & Mary#385 here. 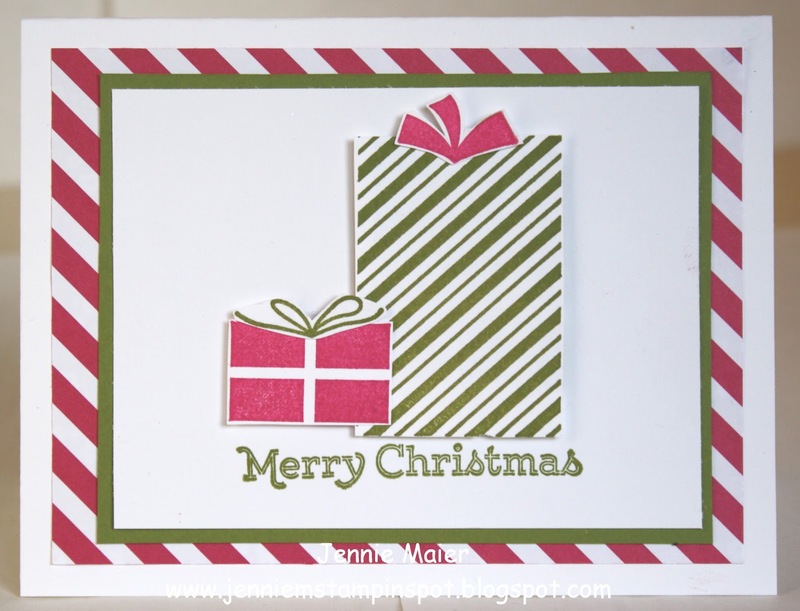 Your Presents, Lots of Joy and A Little Something are the stamp sets with some Merry Moments DSP. Here's a double duty Christmas card. 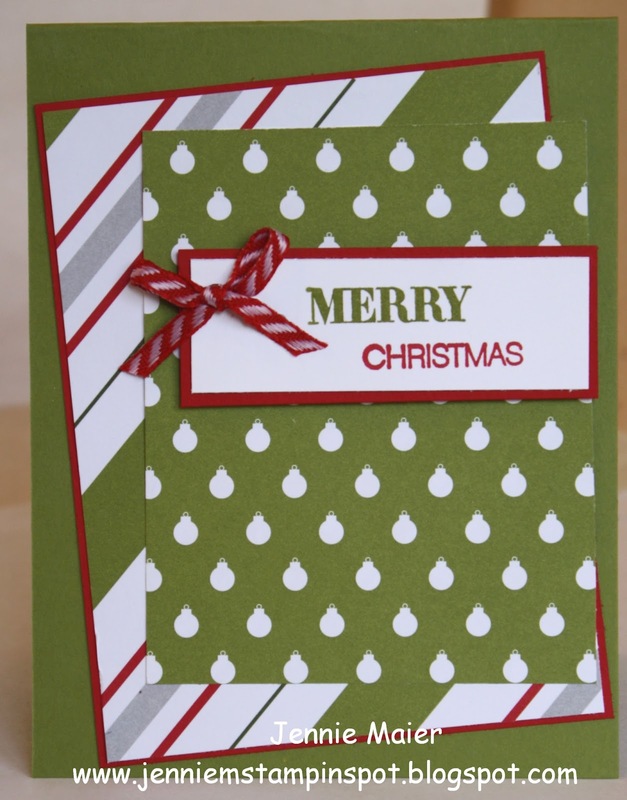 I used two challenges. First, the TGIF Challenge#33 here, is a sketch challenge. 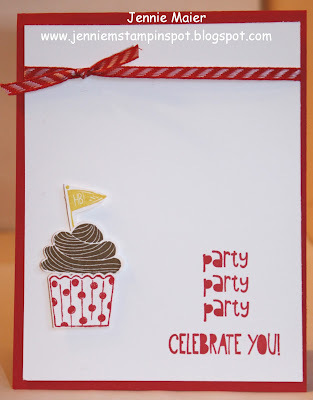 And second, the FabFriday#79 here is a color challenge to use Pool Party, Mossy Meadow and Real Red. 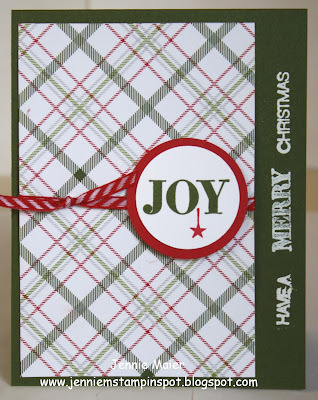 Christmas Bliss is the stamp set. Another break in the Christmas cards to play with Occasions Catalog stamps. 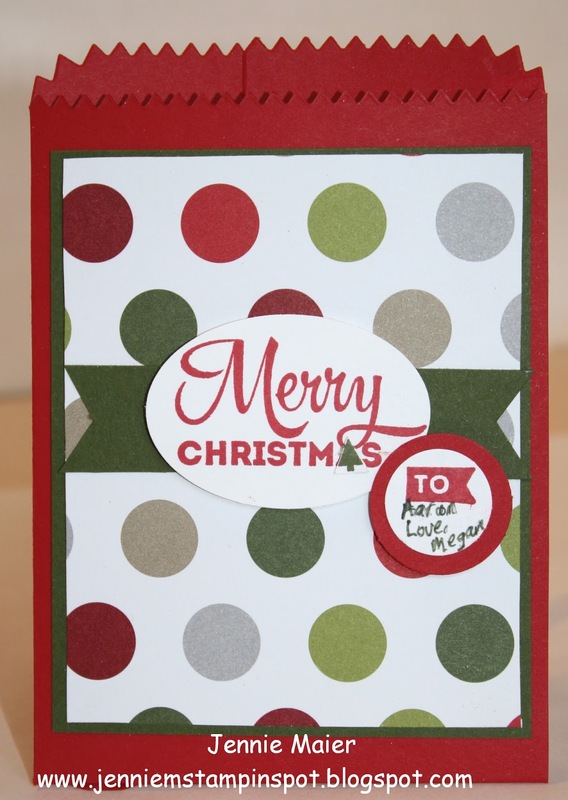 I used the MojoMonday Sketch#427 here. Party Wishes is the stamp set with some of the awesome It's My Party DSP Stack. 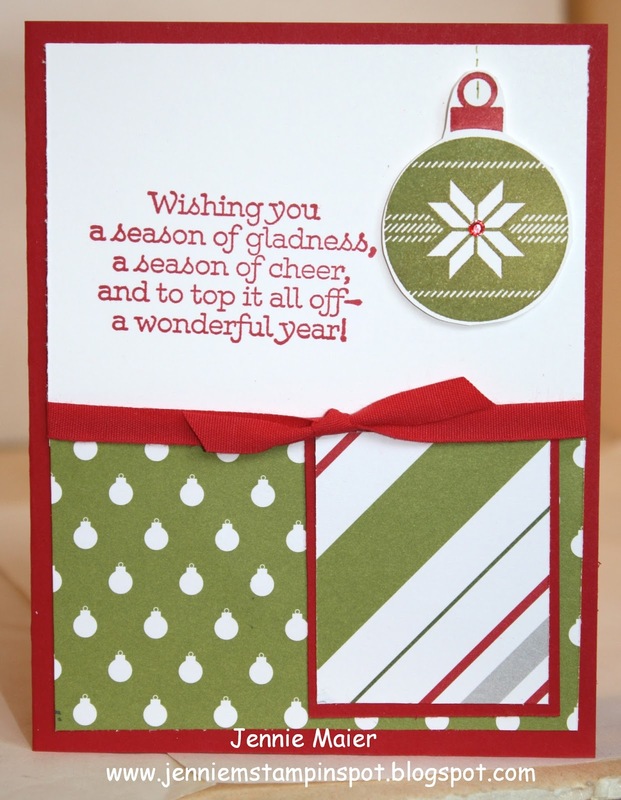 This card shows 6 of the many great patterns. 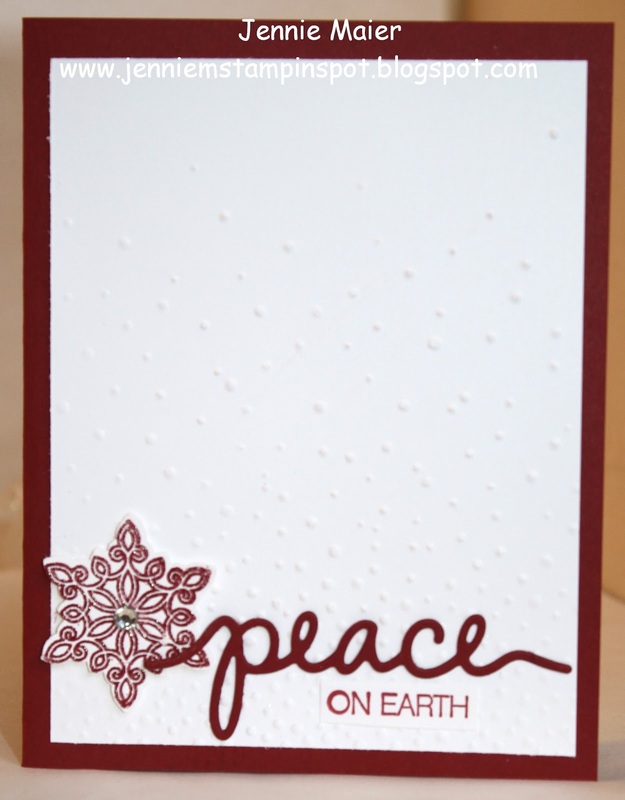 This card uses the PPA#279 here. It's a color challenge to use Cherry Cobbler, Gold Foil and Mossy Meadow. 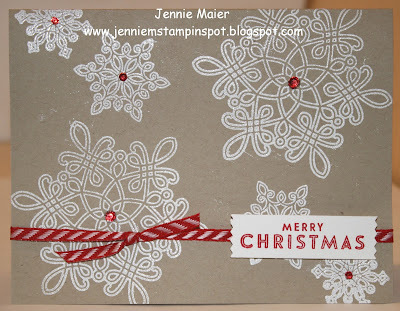 I don't have any gold foil so I just embossed a bit in gold and used some gold ribbon. Your Presents and Holly Jolly Greetings are the stamp sets with some Season of Cheer Designer Washi tape and some Merry Moments DSP. 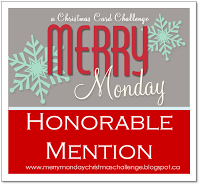 This is for the Merry Monday Challenge#183 here. 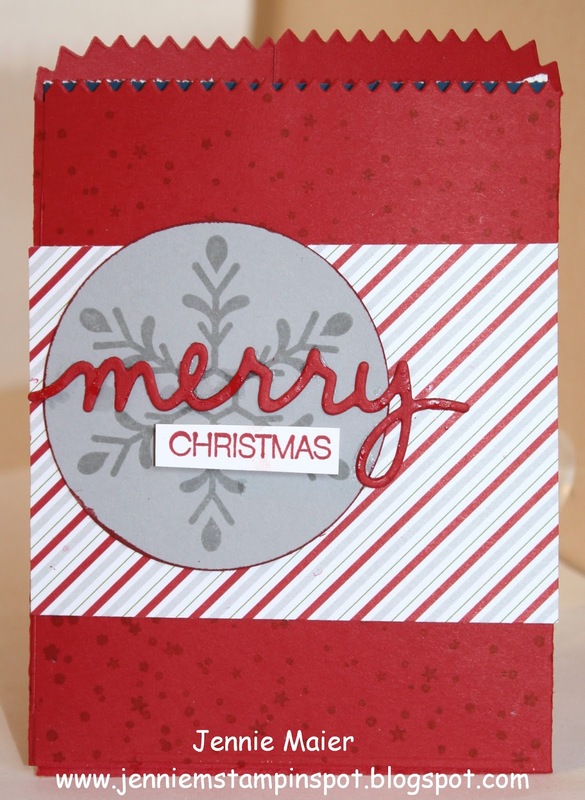 The challenge is to use a candy cane so I used the stamp set, A Little Something along with Versatile Christmas and some Merry Moments DSP. 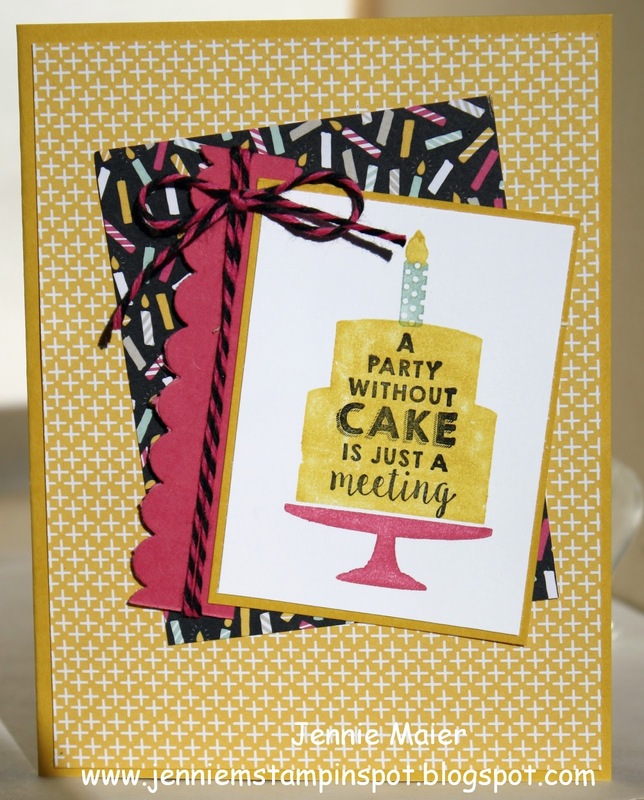 2016 Occasions Catalog Sneak Peek! 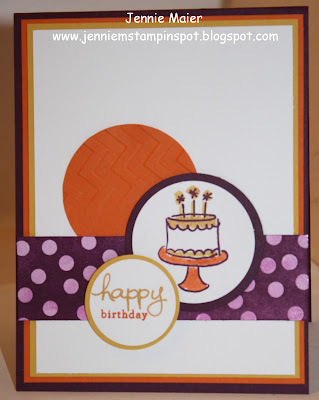 I had to stop what I was doing and quick play with my Occasions Catalog pre-order that just arrived! The Freshly Made Sketch#216 here is perfect! I used the new stamp set, Party Wishes with some new paper, It's My Party DSP Stack and some new Baker's Twine Combo Pack (the other color is Mint Macaron with Black). 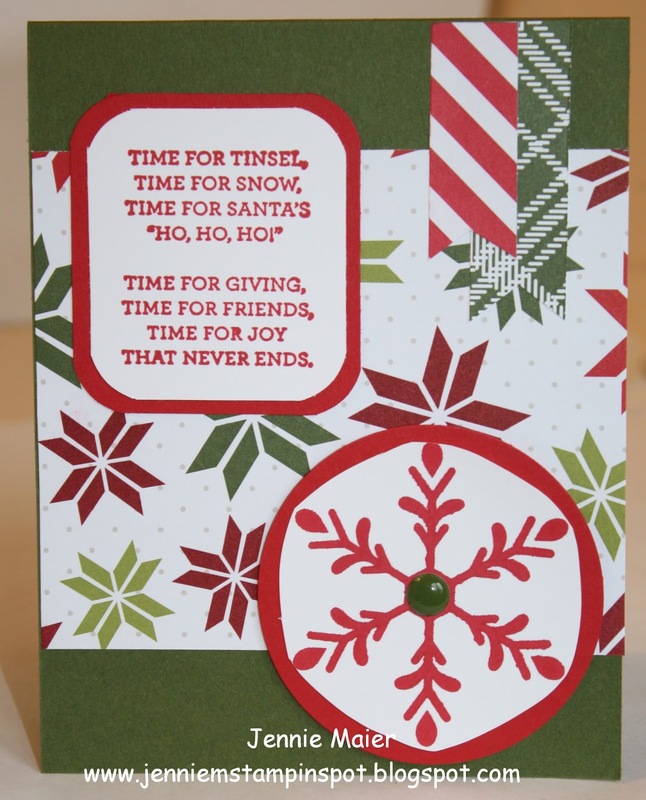 There's even a three punch pack that coordinates too. 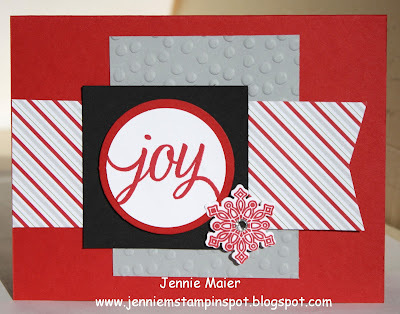 Who doesn't love to have the coordination figured out so you can just stamp? Since I had the Season of Cheer Washi Tape and the Flurry of Wishes stamp sets out, I made another card. 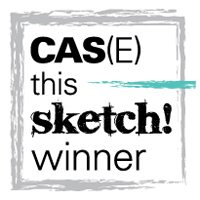 This one is for the Sweet Sunday Sketch Challenge#298 here. 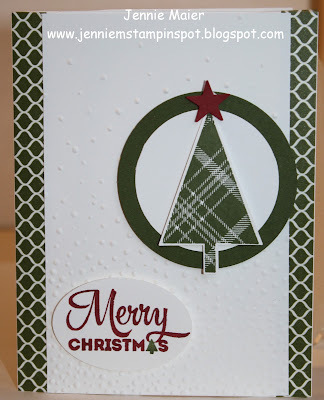 I also used the Mistletoe and Holly stamp set from the November 2015 Paper Pumpkin kit. 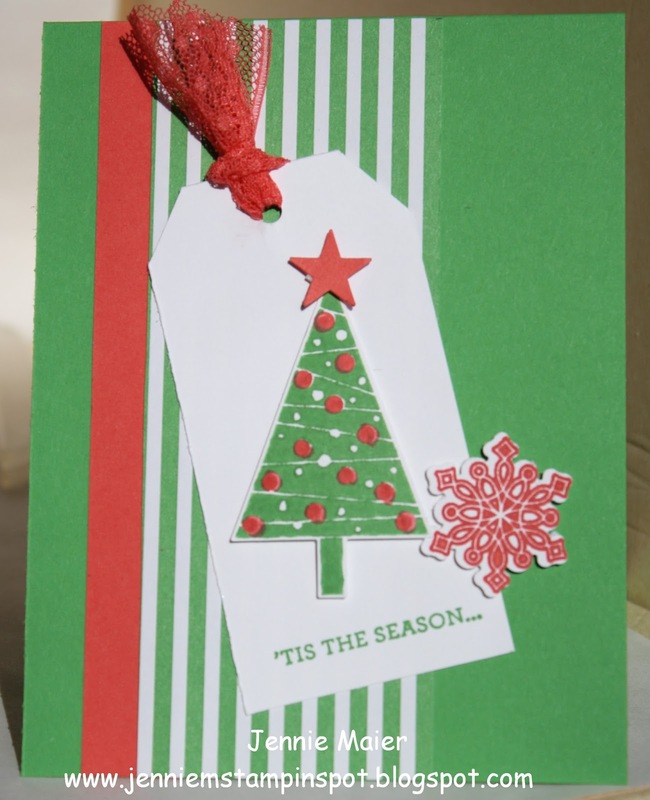 This card is for the Can You Case It#98 here. 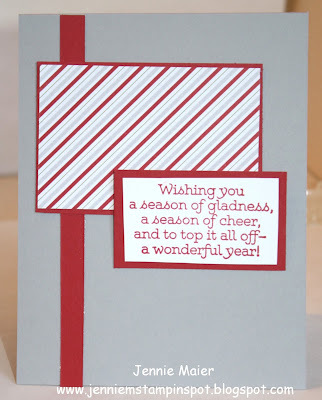 Your Presents, Holly Jolly Greetings and Flurry of Wishes are the stamp sets with some Season of Cheer Designer Washi Tape. 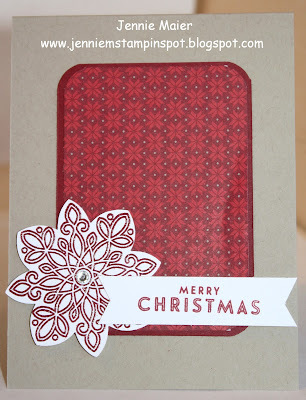 Here's a gift card holder using the stamp set, A Little Something, and the coordinating Square Pillow Box Thinlits Dies. 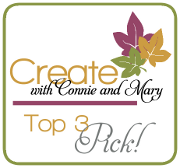 I also used the Create with Connie & Mary#384 here. 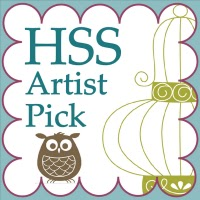 It's a color challenge to use Cherry Cobbler, Mossy Meadow and Smoky Slate or Silver. 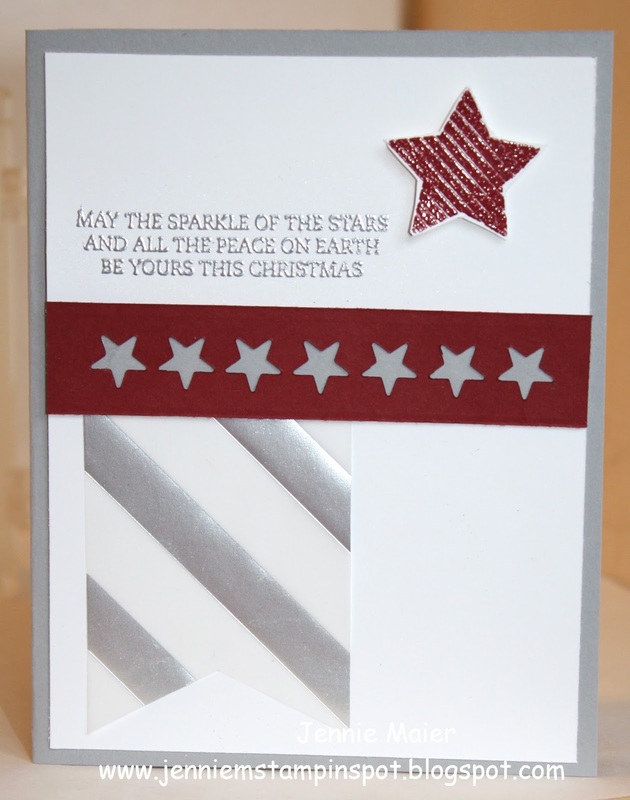 There's some Merry Moments DSP and some Silver Glimmer paper too. 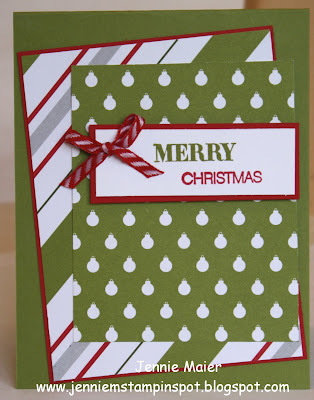 This Christmas card uses the PPA Color Challenge#278 here. 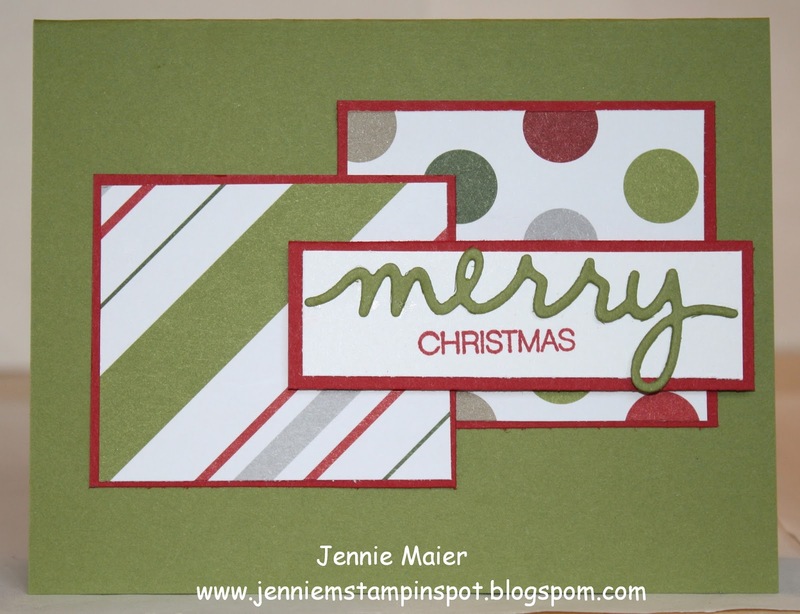 The colors to use are Cucumber Crush, Real Red and Crumb Cake. 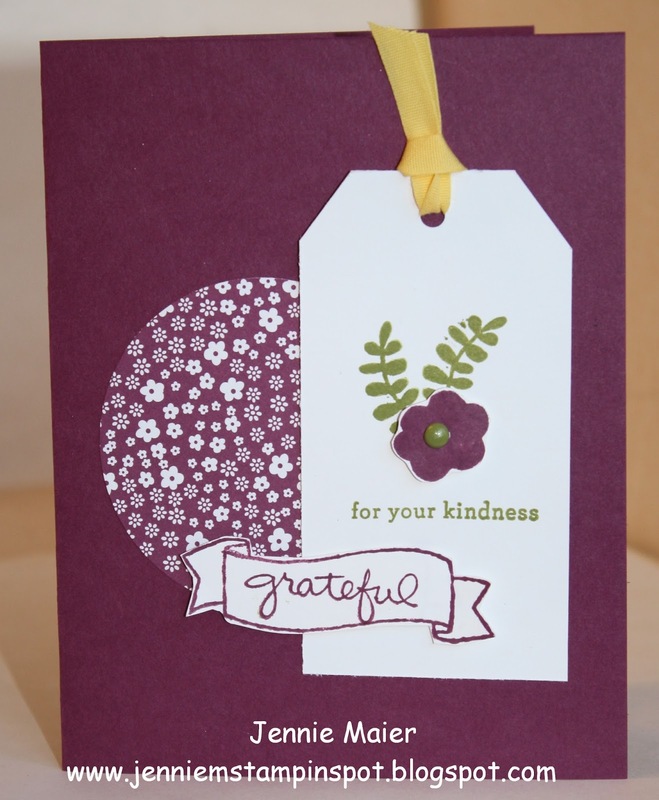 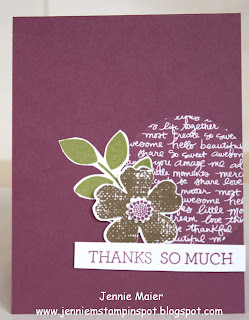 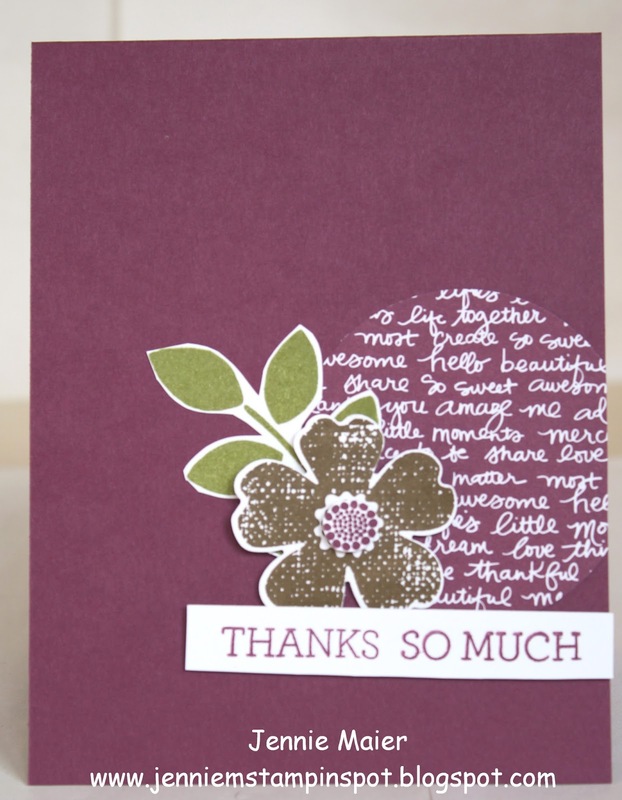 The card is also CASED from our demonstrator magazine, Stampin' Success, I just changed the colors. 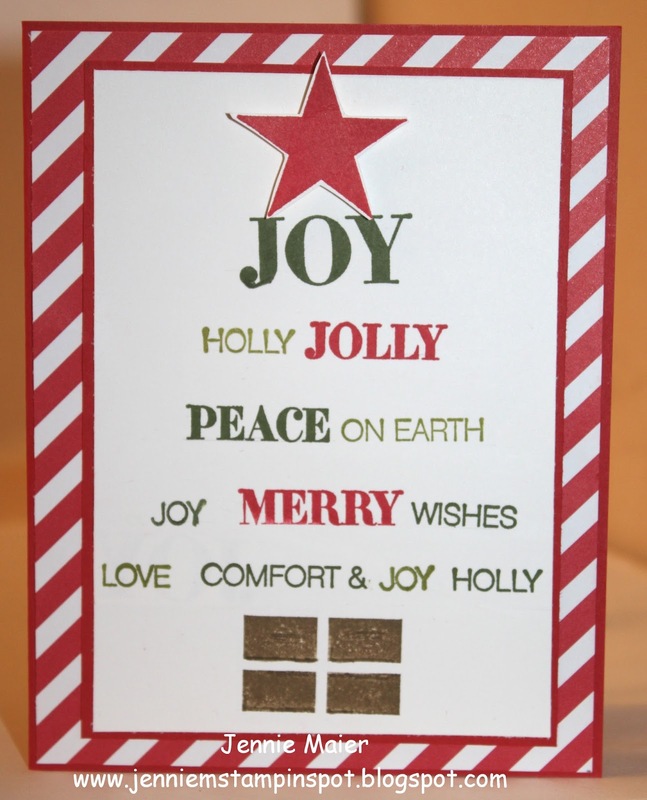 Holly Jolly Greetings is the stamp set with the coordinating Christmas Greetings Thinlits dies. This card uses the Splitcoast Sketch#569 here. 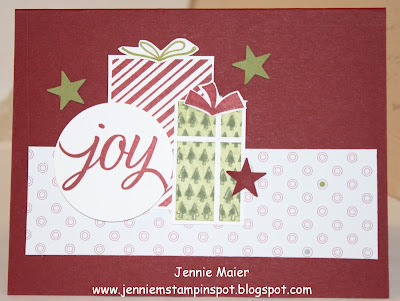 Versatile Christmas and Lots of Joy are the stamp sets with some Merry Moments DSP. 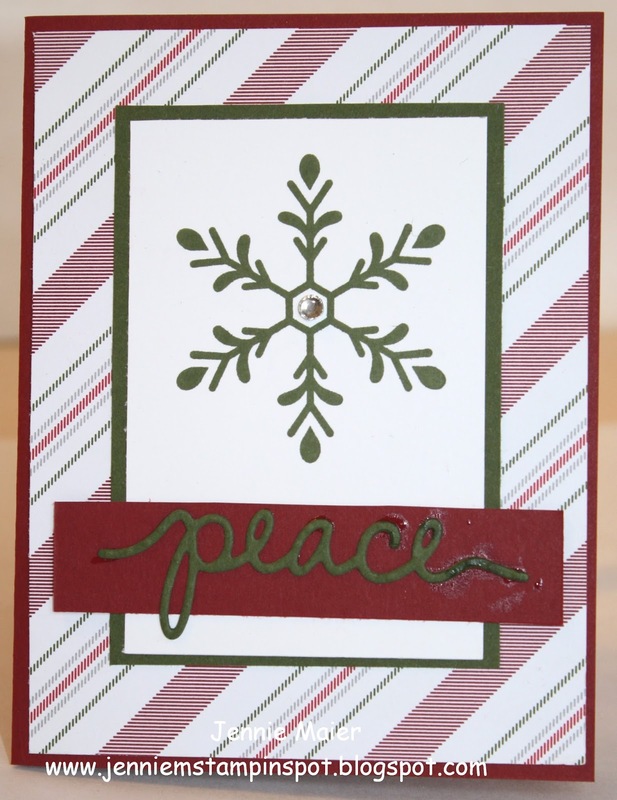 This card came together quickly thanks to the Freshly Made Sketch#215 here. Versatile Christmas and Christmas Bliss are the stamp sets with some Silver Fancy Foil Designer Vellum. This card uses the FabFriday#78 here. Your Presents is the stamp set with some Merry Moments DSP. This is for the Create with Connie & Mary Challenge#383 here. Holly Jolly Greetings and Flurry of Wishes is the stamp set. This Christmas card uses the MojoMonday Sketch#420 here. Festival of Trees, Flurry of Wishes and Versatile Christmas are the stamp sets with some '15-'17 In-Color Envelope paper. This Halloween card uses the Create With Connie & Mary Sketch#377 here. 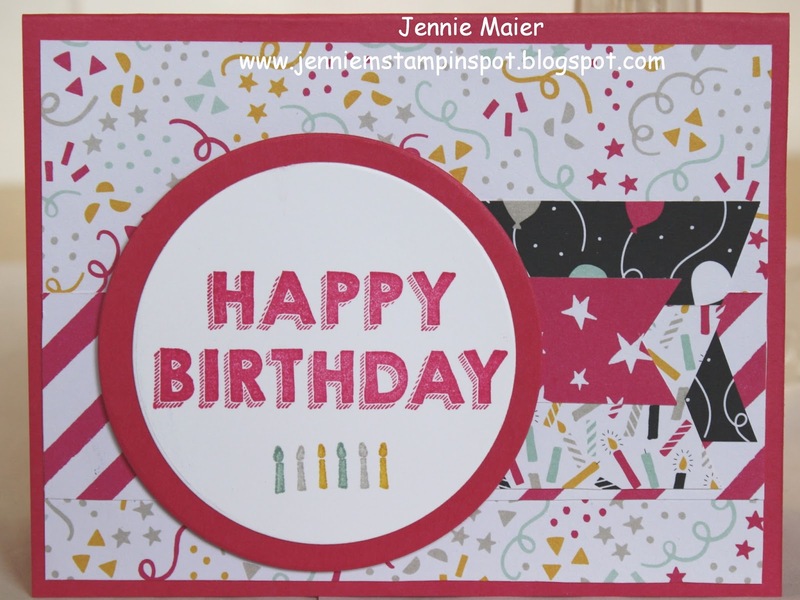 Happy Scenes is the stamp set with some Happy Haunting Designer Washi Tape. This card is for the Merry Monday Challenge#176 here. It's to make a Christmas card with a frame on it. 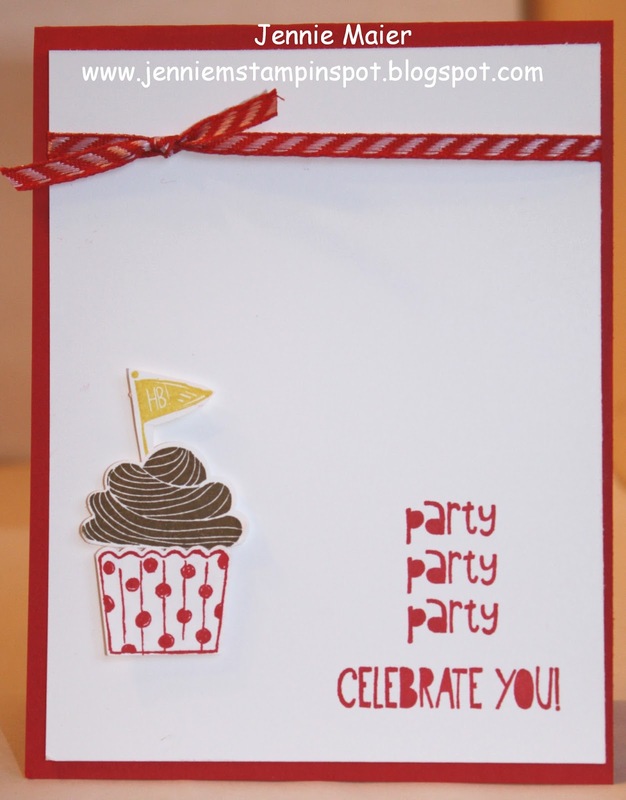 Happy Scenes is the stamp set. 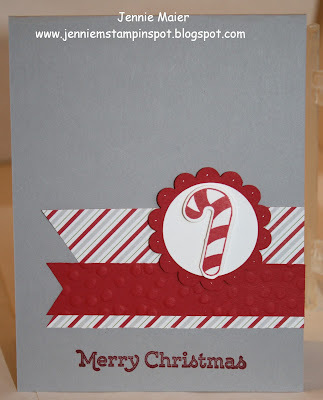 And the background is embossed with the Brick Wall textured embossing folder. 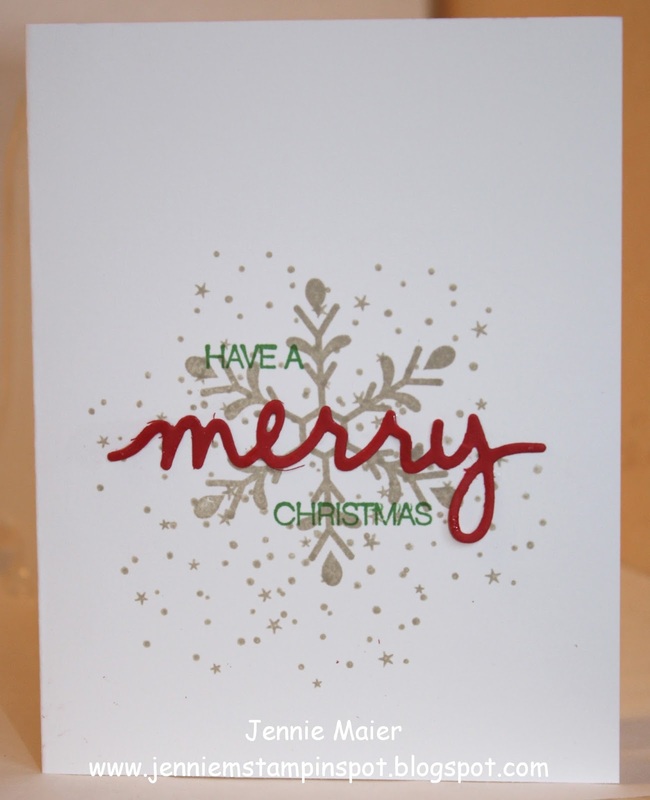 This is a quick, clean and simple Christmas card thanks to the Freshly Made Sketch#208 here. 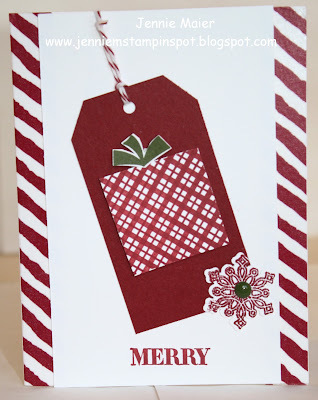 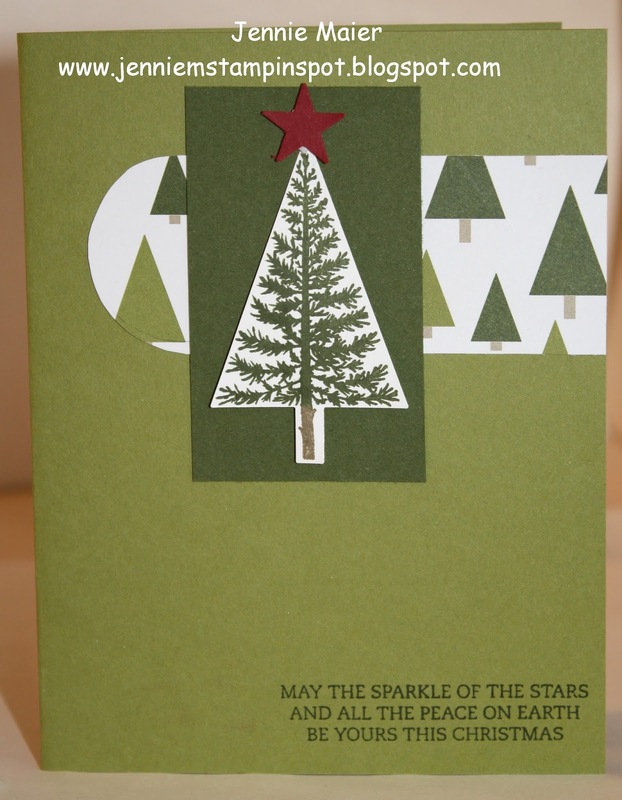 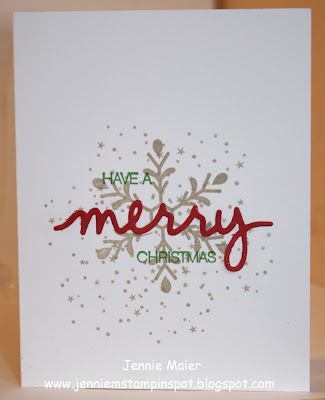 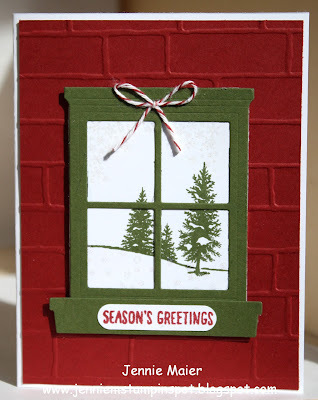 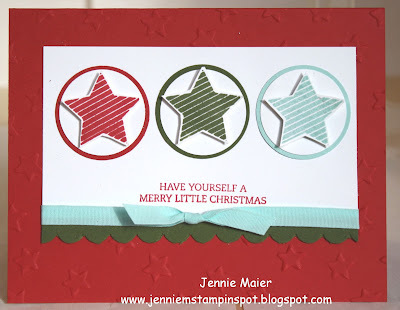 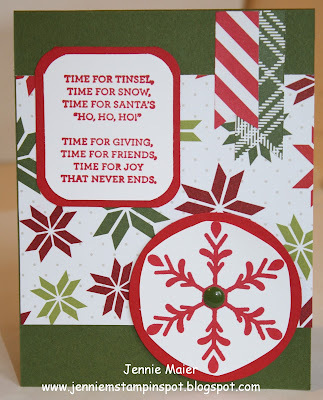 Versatile Christmas is the stamp set and is truly very versatile! 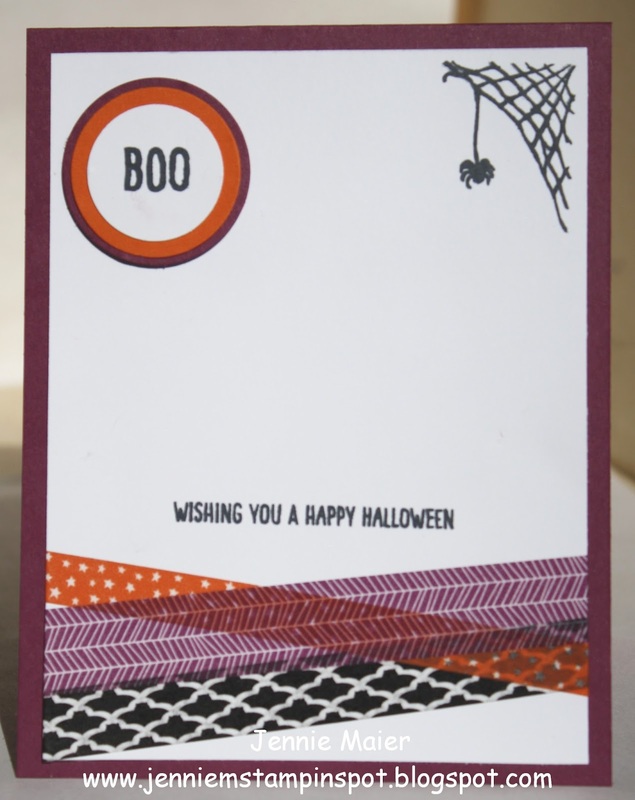 And it's 15% off now thru Oct. 23rd. 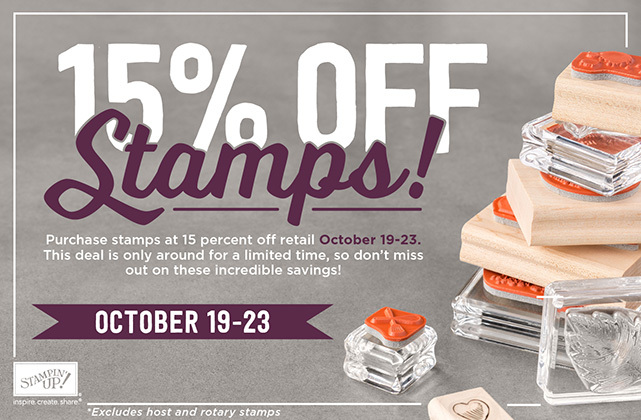 SAVE 15% on Stamp Sets now thru Oct. 23! 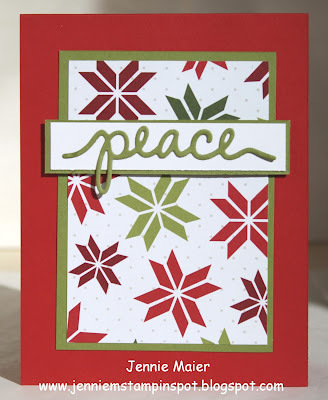 On sale today thru Oct. 23! All Stamp sets are 15% off, including the Annual Catalog and Holiday Catalog(excluding hostess sets and rotary stamps). Get those stamp sets you've had your eye on. 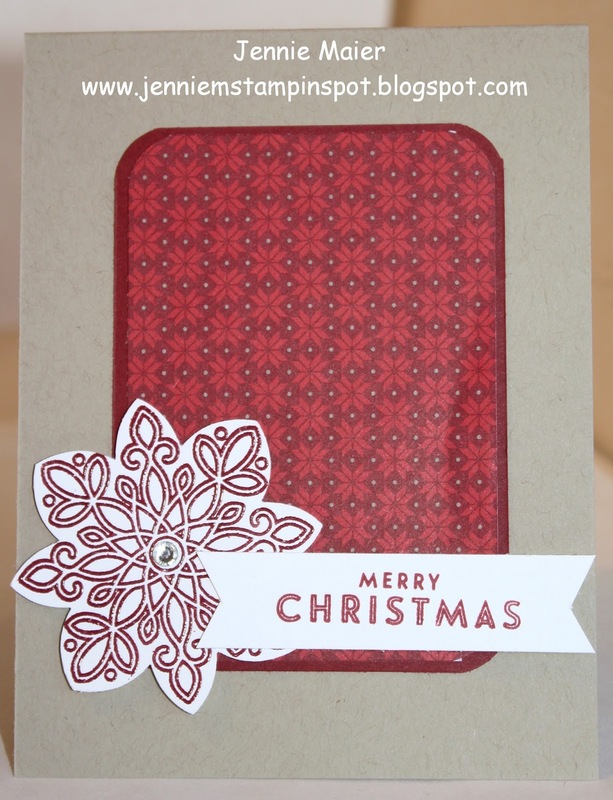 Or those you need for Christmas cards! 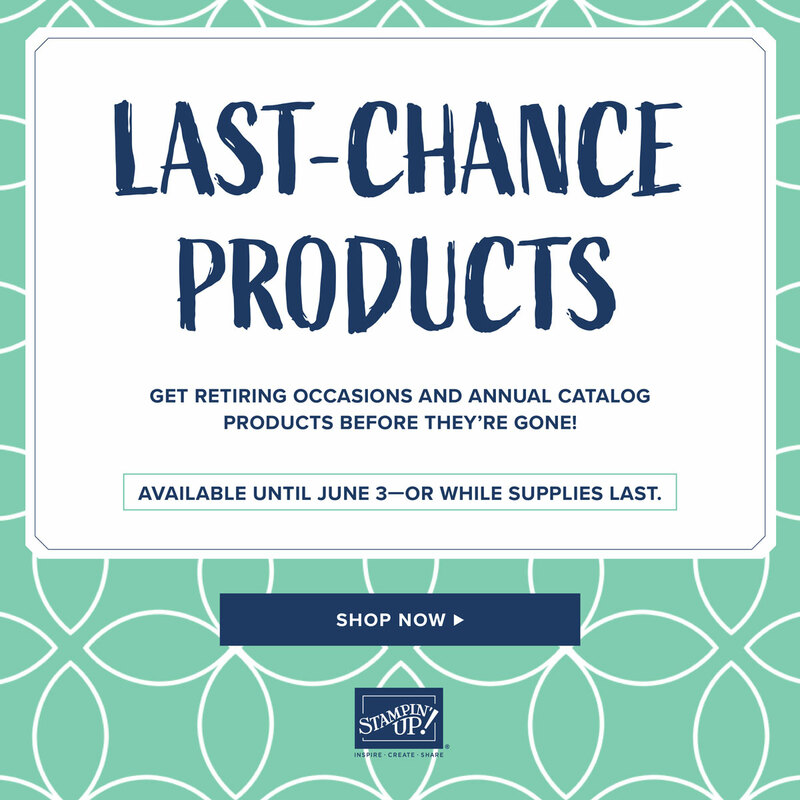 Click on my "Shop Now"! 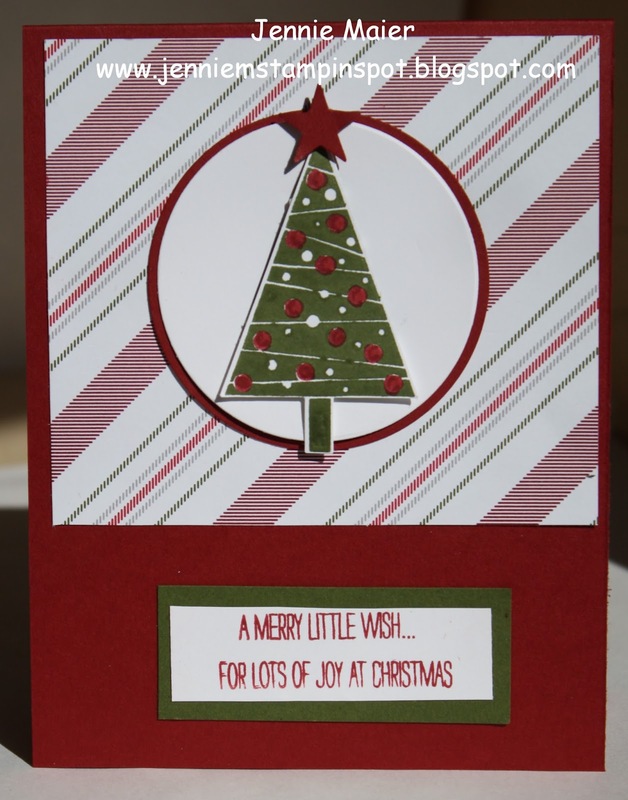 I'll be back to show you a card with one of those sets on sale! 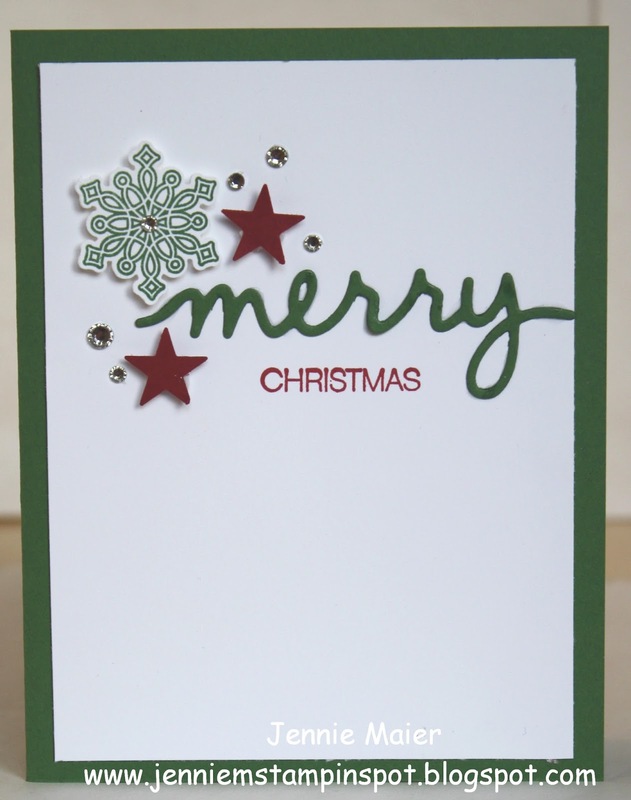 Here's a clean and simple Christmas card for a sketch. 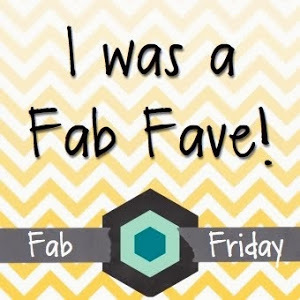 I used the FabFriday#74 here. 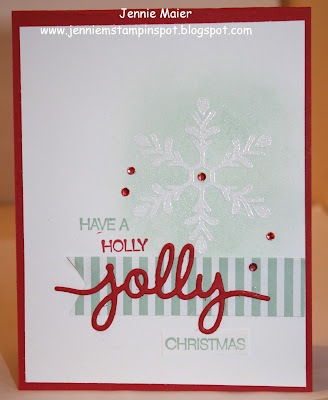 Holly Jolly Greetings is the stamp set with some Merry Moments DSP. 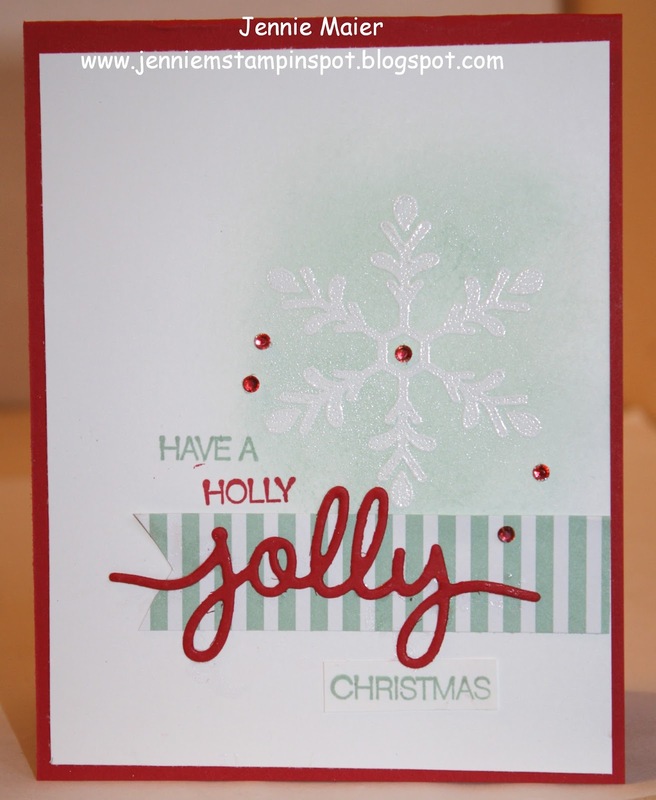 Here's another quick card. This one is thanks to the TGIFC#24 sketch here. 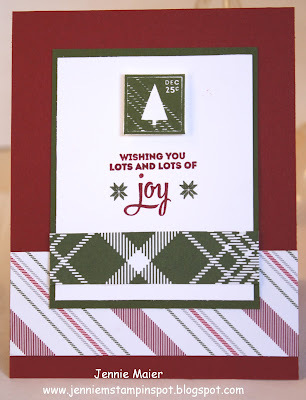 Festival of Trees is the stamp set with some Merry Moments DSP.